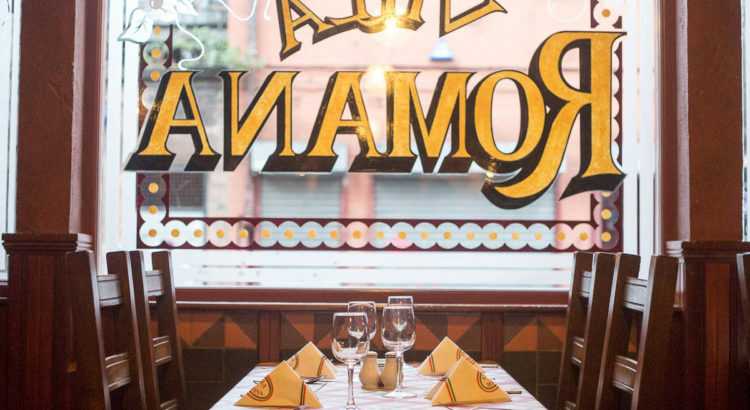 Will you be making restaurant reservations in Liverpool with Villa Romana? Will you be making a restaurant reservation in Liverpool with us? If you’re planning to make restaurant reservations in Liverpool for Grand National weekend it is time to pick your venue and make that call. As the busiest Aintree race meet of the year draws closer it will become more and more difficult to book a restaurant in the city centre. That is why, with a month to go until the big day, we thought we’d give you a gentle reminder that we are now taking restaurant reservations for Liverpool’s biggest social event of the year so far. At the moment we have plenty of availability remaining for Grand National weekend but the situation won’t stay that way for long. As people search the internet for ‘Italian restaurants near me’ in advance of The National, yours truly – one of Liverpool’s longest established and best loved Italian eateries – will be at the top of everyone’s call list. Of those Ladies Day (Friday) and the day of the Grand National itself (Saturday) will invariably be the busiest in the city centre, as race goers head into town for breakfast and then return after the day of racing. Restaurant reservations in Liverpool will be like gold dust by the time the beginning of April rolls around, so whether you’re planning to head to Aintree or not, if you would like to book a restaurant for that weekend we suggest that you get onto it pronto. Why make it Villa Romana? Of all the available restaurant reservations in Liverpool during Grand National weekend, or any other weekend for that matter, why should you book a table at Villa Romana? Well, sometimes you just get that uncontrollable urge for Italian food, don’t you? You feel a craving that only a really good lasagne or a well baked pizza will fill. Perhaps you find yourself in need of an expertly crafted, delectable tiramisu, on occasion and scramble around for a restaurant reservation in Liverpool that can meet your needs. If you can relate to any of this, you’re going to enjoy the authentic Italian dishes of Villa Romana. We haven’t been one of the city’s favourite eateries for decades JUST because of our prime location you know? So if you are in need of restaurant reservations in Liverpool for Grand National weekend we urge you to book a restaurant sooner rather than later. Please take a look around our site at our menus and, if you choose to dine with us on the day, we’ll look forward to welcoming you. Looking for vegetarian restaurants in Liverpool? Italian Restaurant Liverpool | Villa Romana © 2019. SEO Liverpool - Graham SEO | Web Design by Foundd.